This pot roast is a snap to prepare, and the sour cream sauce makes a wonderful gravy. All you have to do is season the roast and chop a few vegetables. The slow cooker does most of the work. 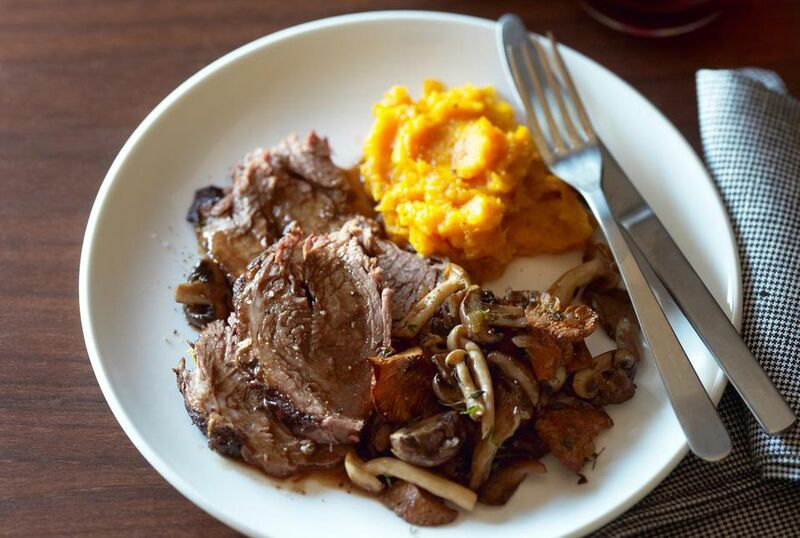 Serve the roast with mashed potatoes or hot cooked noodles. Rub roast with garlic and season with salt and pepper. Place in the Crockpot and add chopped carrot, celery, and sliced onion. In a bowl combine the sour cream with the flour and white wine. Add the sour cream mixture to the pot roast liquids about 15 to 20 minutes before the roast is done. Or remove the roast and keep warm; strain the liquids into a saucepan and add the sour cream mixture. Heat until hot and thickened. Do not boil. Serve with the sour cream sauce and hot cooked noodles. We recommend doubling the sauce.